Two years ago today I graduated college, and while that is a pretty significant event in my life, it’s not why this day is special to me. Two years ago today I started dating Sebastian. 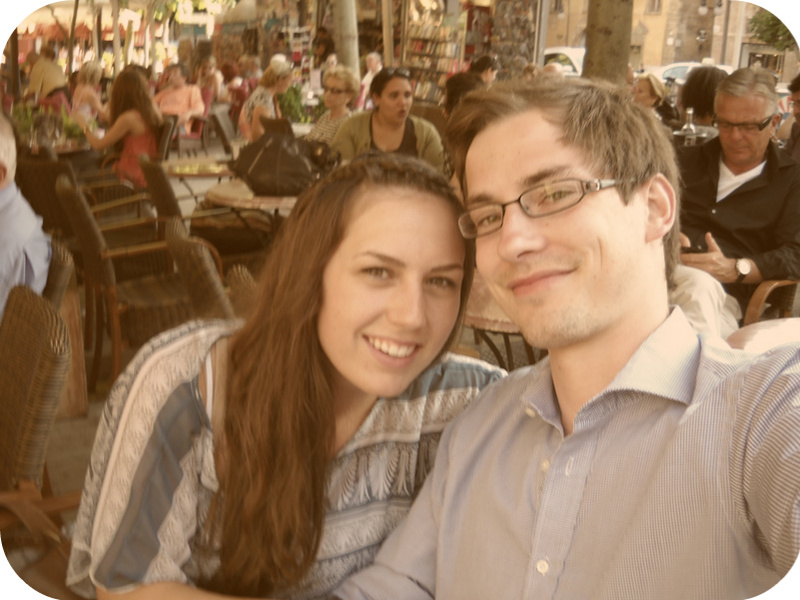 I never expected to fall for a German guy, as I’m sure he never expected to fall for an American girl. But sometimes the unexpected happens. We met while playing soccer at Kent State and quickly bonded over our love for Chipotle, traveling and How I Met Your Mother. Our relationship had an interesting start. I had just gotten out of a long-term relationship and he was heading back to Germany. It didn’t seem like the most ideal situation, and we both had our doubts. That first summer was filled with Skype dates, phone calls, letters, emails and eventually a trip to Germany. It became pretty clear that we were both in this for the long haul. What a whirlwind these past two years have been. We’ve traveled to more than 20 cities, stayed in 15 different hotels and learned a lot about each other along the way. And I think we both agree we wouldn’t trade it for anything. Dear Sebastian – thank you for the most unexpected and wonderful two years. We’ll be on vacation when you arrive, but back in time for Joe’s graduation. You’ll definitely get to meet him :-) And we can’t wait to see you too!